Memory Test: What is It? Memory test, the phrase can sound intimidating, especially if you are concerned that signs of memory loss might be related to Alzheimer's disease. While there are multitudes of tests available online, these are not suitable for use to diagnose the underlying cause of memory loss. When a person begins to show signs of forgetfulness and lapses in memory, it is advisable to seek the guidance of you primary care physician to determine if you need to have a professionally administered cognitive test. A neurologist, neuropsychologist or clinical psychologist can conducting memory assessment along with other tests to determine the underlying causes of memory impairment. They can make recommendations, as well as referrals for interventions to help the person lessen the effect of memory loss on their daily living. Auditory Memory involves being able to remember information one hears; it is important in learning and using language. Visual Memory involves being able to remember information one sees. This type of memory is essential recognition of people and locations. It is also essential in reading. 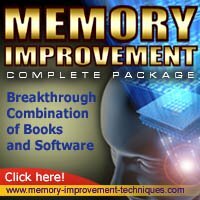 Delayed Memory is the ability to remember information from a point in the past. This is also known as long-term memory. A memory assessment is administered to the patient individually either by the neurologist, psychologist, neuropsychologist, or by a psychometrist. A psychometrist is a person who is trained to administer psychological tests. In addition to the testing, the psychometrist will also monitor the body language and other behaviors of the person tested. Typically, the memory examination is administered along with other assessments of executive functioning, which includes attention, planning, decision-making, problem solving and reasoning. Commonly used test instruments are the Weschler Memory Scales and the Weschler Adult Intelligence Scales. The psychologist or neurologist then interprets the scores of the evaluation in light of the information gathered during the clinical interview, formulates diagnostic impressions, and makes treatment recommendations based on these findings. This information is communicated to the person tested , family and caregivers in a follow-up appointment that takes place a few days after the testing session.